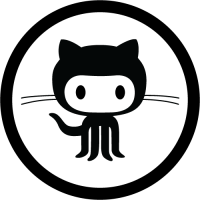 AWARE is available to everyone on GitHub under the Apache Software License 2.0. In a nutshell, this means that you may use it for commercial and research purposes without restrictions (however we would love to hear about your projects and what you are using AWARE for!). AWARE is about freedom and choice. One of AWARE’s purposes is to promote openness in the mobile research world, and we don’t believe it’s possible to predict or dictate all the uses to which people will want to put our software. So, while we encourage everyone to make plugins that are open and modifiable, we don’t believe it is our place to force them to do so. Using LGPL libraries would often force them to do just that. LGPL (in simplified terms) requires either: shipping of source to the application; a written offer for source; or linking the LGPL-ed library dynamically and allowing users to manually upgrade or replace the library. LGPL requires allowance of customer modification and reverse engineering for debugging those modifications. Most application developers do not want to have to be bound by these terms. Historically, LGPL libraries have been the source of a large number of compliance problems for application developers. Educating developers on these issues is difficult and slow-going, unfortunately. It’s critical to AWARE’s success that it be as easy as possible for developers to comply with the licenses. Given the difficulties with complying with LGPL in the past, it is most prudent to simply not use LGPL libraries if we can avoid it. The issues discussed above are our reasons for preferring ASL2.0 for our own code. They aren’t criticisms of LGPL or other licenses. We are passionate about this topic, even to the point where we’ve gone out of our way to make sure as much code as possible is ASL2.0 licensed. However, we love all free and open source licenses, and respect others’ opinions and preferences. We’ve simply decided ASL2.0 is the right license for our goals: a platform from researchers to researchers, and beyond.